It’s fair to say that Microsoft has fully embraced the existence of the Apple Watch from initial launch. Owners of Apple’s precise and beautiful timepiece have been able to interact with a number of Microsoft apps pretty much from day one. 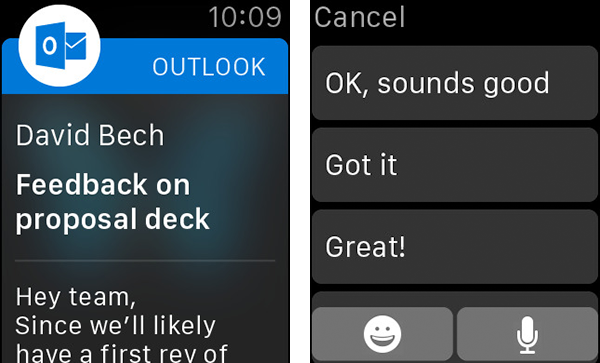 The software giant has now shown its clearest indication yet that it will continue to develop cutting-edge software that’s compatible with the Apple Watch by releasing an upgrade to its popular Microsoft Outlook email app which brings extended compatibility for the wrist-worn gadget. As Microsoft puts it in its release notes, if “you have a watch that lets you do way more than check the time,” then the company has something in store for you. The newly updated app immediately lets you check out what’s happening at any given time directly in your Outlook account inbox. A quick swipe up from the watch face brings Glance, which provides an immediate view of any upcoming appointment stored in the calendar. It’s a quick, easy, and extremely effective method of getting immediate access to important information. Microsoft has extended what’s possible on the small screen by introducing additional context to email messages on the watch. Unread emails can be instantly viewed on the Apple Watch screen, emails can also be replied to with a number of pre-set messages. In addition to those quick replies, there’s also a host of emoji responses available, as well as voice dictation features for those who prefer to dictate a retort. Perhaps one of the most appealing aspects of the Outlook Apple Watch app is the creation of custom notifications that provide users with the luxury of getting notified about important incoming mail. Now whether that user then chooses to act on the mail with a reply, archive it as read, or just delete and ignore it, it should all be a pretty straightforward and simple task. 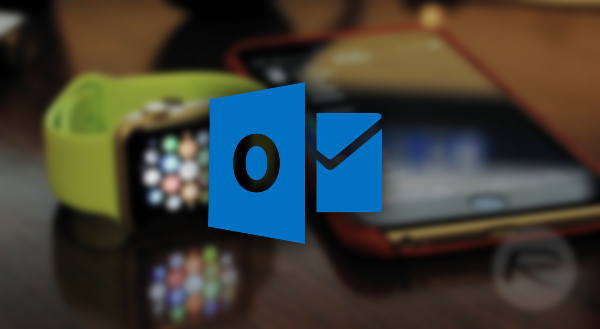 (Download: Microsoft Outlook for iPhone, iPad and Apple Watch on the App Store). oldest unlocking site for AT&T.